27/9/2018 -Running Parents Plus in Schools – Dublin – Parents Plus! There is nothing in your basket. Add some attendees to a programme to get started! Who can facilitate Parents Plus? “I run Parents Plus programmes all of the time in my work. The lasting message that parents take away is to ‘Press the Pause Button’. In our lives, we all need to press that button now and again. It’s ok to get frustrated. It’s how we deal with that frustration; whether as parents with their children, or humans with other humans”. Key note presentation from Dr John Sharry on “Strengths based principles for engaging families in schools”. A series of practice presentations from facilitators running the programmes in schools on topics such as supporting children with mental health problems such as anxiety. Break-out discussion groups on a range of specific topics such as recruiting participants in schools, keeping them attending, group facilitation skills etc. Networking opportunities to meet other school staff delivering parenting and mental health programmes. If you are interested in presenting or providing a short input on your practice (10 mins) or helping to run a break out group, please email sinead@parentsplus.ie. 1) trained Parents Plus facilitators who are looking to develop their practice and 2) professionals working in school settings, new to Parents Plus who are considering Parents Plus training in the future. See here for details of full Parents Plus training. Cost of attendance is €50 euro, or free for practitioners who present. Parents Plus is an Irish charity that develops practical, evidence-based parenting and mental health programmes. We train professionals working with children and families to deliver the programmes in communities and clinical settings. Our programmes support families to communicate effectively, build satisfying relationships and overcome emotional and behavioural problems. 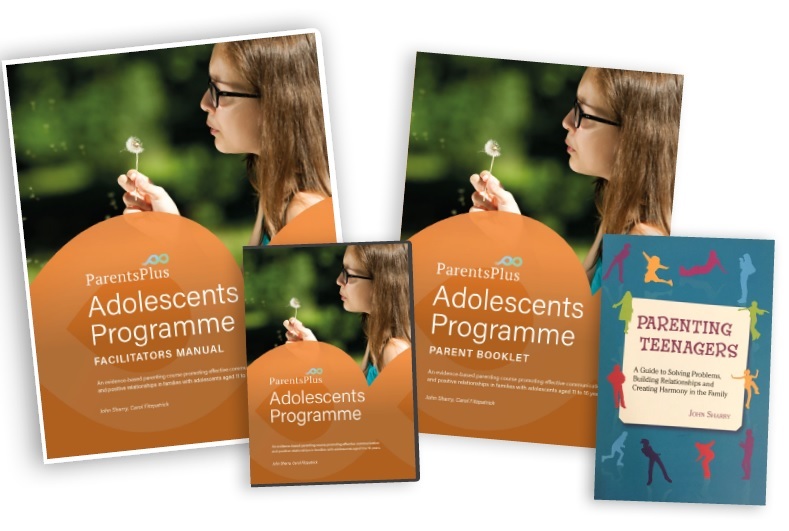 Our Programmes: Parents Plus have developed five flagship programmes in partnership with parents and children living in Ireland and includes their specific experiences. Our programmes combine a social learning model with a solution-focused preventative framework that encourages and empowers parents and children to ‘take charge’ and make positive changes in their lives. The Early Years Programme for parents of children aged 1 to 6. The Children’s Programme for parents of children aged 6 to 11. The Adolescents Programme for parents of adolescents aged 11 to 16. 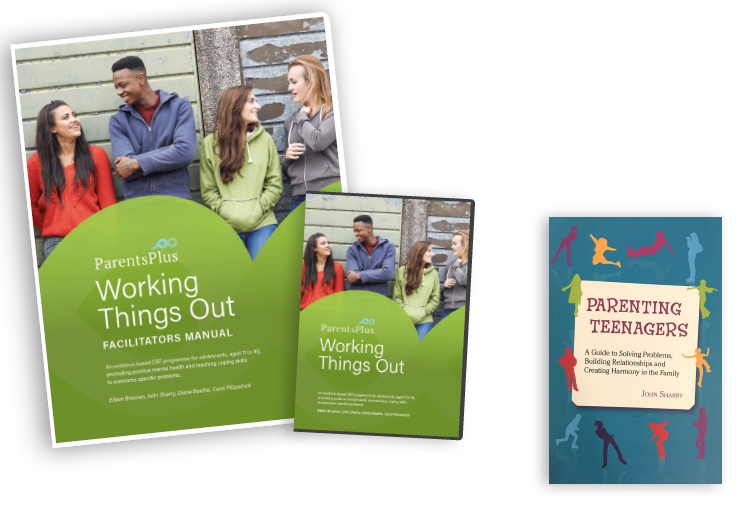 The Working Things Out Programme targeted at adolescents aged 11-16. Parenting when Separated Programme targeted at parents who are preparing for, going through or have gone through a separation and divorce.